Microsoft recently released the final version of Windows 8 with Indian rates set to Rs.1,999 for upgradation. Well quit a low amount and still many sites are up with coupon codes getting you more discount and making price as low as $14.99 but still if you are not happy with the amount or you wanna try out this new version and evaluate till you are satisfy then Microsoft even provides you with 90 days of free trial version basically meant for developers but now for the whole public. You can download your specific version and try Windows 8 for 90 days after which you have to purchase or get back your older version, as this version will not be able to upgrade to final version. So its just for evaluating purpose and Microsoft wants every single individual to get satisfies before you make actual purchase. So check below steps on how you can get Windows 8 for free. Now you will see two Download link for 32 Bit and 64 Bit versions. Just click on the one you want to download and than it will take you to the Sign In page where you will need to sign in if you do not have an account than create one and your download will start. 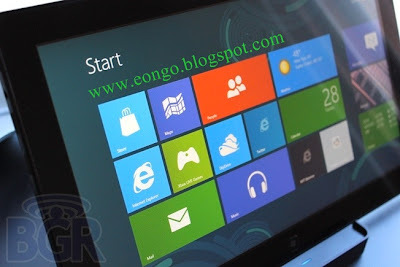 Install Windows 8 and enjoy it for 90 days if you like it than make a purchase for the final version.